Find out more about the DSN at http://deepspace.jpl.nasa.gov/dsn/. Kids can learn about the amazing DSN antennas and make their own “Super Sound Cone” at The Space Place, http://spaceplace.nasa.gov/en/kids/tmodact.shtml. 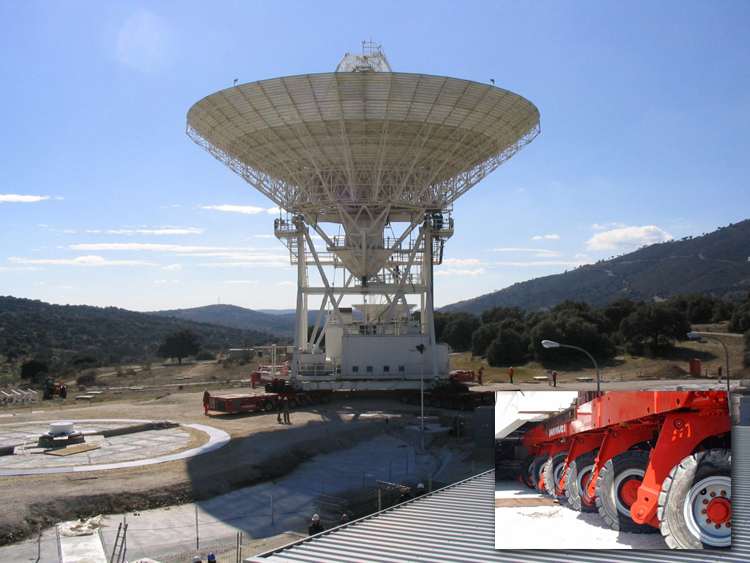 Giant Deep Space Network antenna in Madrid is moved using four 12-axle, 24-wheel crawlers.